The Researcher’s Night is a Europe-wide event, organized each year on the last Friday of September, to better engage society in science. This year ESSRG also opened its doors and invited interested citizens to three different programs. All three programs we organized showcased our experiences in European research projects and asked for active societal engagement. Children drawings about the future of human-nature relationships have been exhibited from the OpenNESS project (FP7). These drawings were created by primary school students living in the Kiskunság region, Central Hungary, as part of a participatory scenario planning process. While children are core stakeholders in any future oriented decision, it is difficult to engage them in discourse based research and planning processes. Through drawing they could express their hopes and fears about their natural environment, and could inspire stakeholders who participated at the planning workshops. A science café followed the exhibition, discussing how the diverse values of nature can be integrated into decision making. In the frame of the EKLIPSE project (H2020) we organize a series of science cafés, aiming to discover the diverse values of nature and their role in decision making. 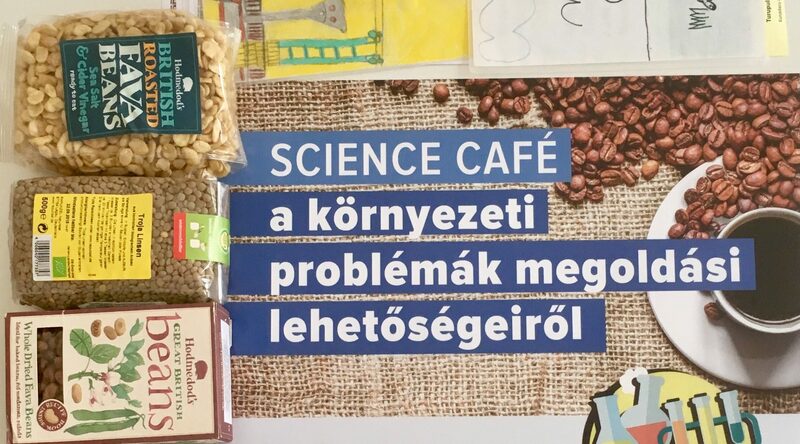 While the first science café focused on the understanding of the values of nature from different perspectives, the second event explored how diverse values can be taken into account in individual action as well as in decisions at the national and international level. The day was closed by a legumes workshop, related to the TRUE project (H2020). We brought together different stakeholders and experts of legume-based systems, and explored the actual situation of legumes in Hungary. Constraints and innovative potentials for legumes were discussed, legume based food products were inspected and even tasted. Thanks for coming to all participants!